Five easy steps to create a strong doctor-patient bond in the initial visit. The relationship between doctor and patient continues to be the keystone in quality medical care. When a trusting healthy relationship is fostered initially, it is more readily maintained and set up for further growth. 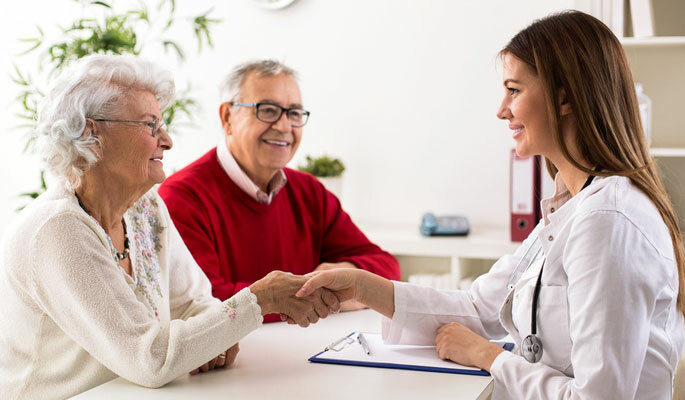 Quality relationships lead to an accurate description of symptoms, full medical history disclosure, and ultimately a more holistic view of the patient. Obtain patient consent at every possible opportunity and work to maintain this mutual respect in which the patient feels autonomy over their own body. Frame things in a question as opposed to predetermined steps. The simple act of asking permission rather than telling the patient what you are going to do immediately puts them at ease and makes them feel like a valued stakeholder in their own health. Check your personal opinions at the door. While you may encounter patients that engage in unsafe or otherwise alarming behaviors it is not your job to pass judgment. Remain outwardly neutral as you explain the risks of a given activity and always appeal logically as opposed to emotionally. The moment you show your emotions on your face your patient will feel defensive and the trust that has been built in this short time will have already been broken. This one is easy! Keep your eyes on the patient as frequently as possible. If you are not engaged with your patient they will not engage with you. Eye contact is another way to help the patient feel valued and it reflects good listening skills when you are focused on your patient as they speak. Remember by now you know to check your judgments at the door so don’t stop at physical and mental ability. If you have a patient who appears to be differently abled, elderly, or young do not gloss over important questions you assume don’t apply to that patient. Your patient will notice, and the trust you have otherwise established will be damaged. You have heard this one before; don’t spew medical jargon! While that is an important lesson let’s take it one step further and challenge you to be concise. If you lecture or over explain to your patient they will tune you out. Remember this is not your appointment this is about the patient. Making them feel important in their personal health will also motivate them to make healthy choices and continue to seek your input as well.